Balkh Special Police Force Battle Ready | . :: Elections 2014 ::. Security officials in northern Balkh said on Saturday that the local Afghan Special Police Force (CFU) branch is now trained, equipped and ready to fight insurgents in the province, which has seen a rise in militant activities in recent years. "Hundreds of Afghan Special Police have been trained at a base in the province to face the enemies threatening the area," said Gen. Hasibullah Quraishi, the Balkh CFU Commander. The training and equipping of CFU units across the country is one aspect of the U.S. and Nato security transition that has received little coverage in the media in comparison to other focuses like the Afghan National Army (ANA) and the Afghan Air Force (AAF). However, security officials have indicated that more localized enforcement groups, especially elite ones like the CFU, will be essential to combating insurgent activities around the country as well as organized crime issues like drug smuggling. Gen. Quraishi said that more than 50 insurgents have already been caught and detained by his elite forces. He spoke proudly about his men, saying they have more capabilities than regular police forces, not in the least because they are equipped with more advanced gear. 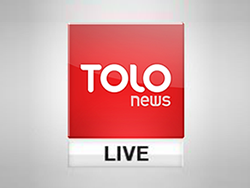 "We are ready to defend our country," a CFU member said to TOLOnews. Regardless of how prepared or not prepared the CFU troops are, however, they are sure to see action. The northern provinces of Afghanistan – like Balkh – have been the stage of increased insurgent activities in recent years, a change from previous times when militant violence was almost entirely concentrated in southern and eastern provinces. Thus far, U.S. and NATO officials have helped train and equip an Afghan security force of approximately 352,000 men—including 187,000 Afghan National Army soldiers and 157,000 police officers. While issues related to proper vetting and training of recruits have been major issues in the past, with the withdraw of all foreign troops in 2014 looming, larger questions about the forces overall ability to handle security operations in Afghanistan have become the focus of attention.